I've been seeing and obsessing with this kind of shirts/blouses lately. With bow tie and with all kind of prints and I also like their romantic feeling. 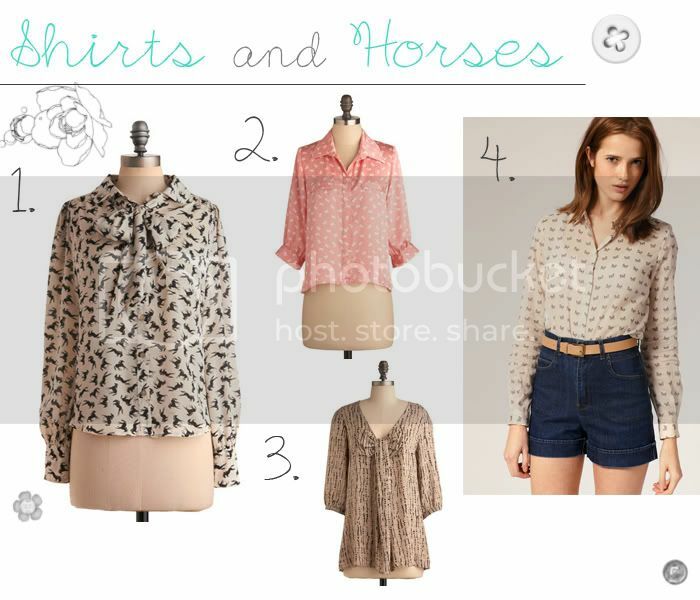 My favorite is the 1. with the cute bow and little horses all over it. Looking through my closet and realized I have maybe one or two this kind of shirt/blouse so that means I must buy one! Do you like them? Have one already? I love #2 and I love the price! Your blog is adorable, I'm a new follower.